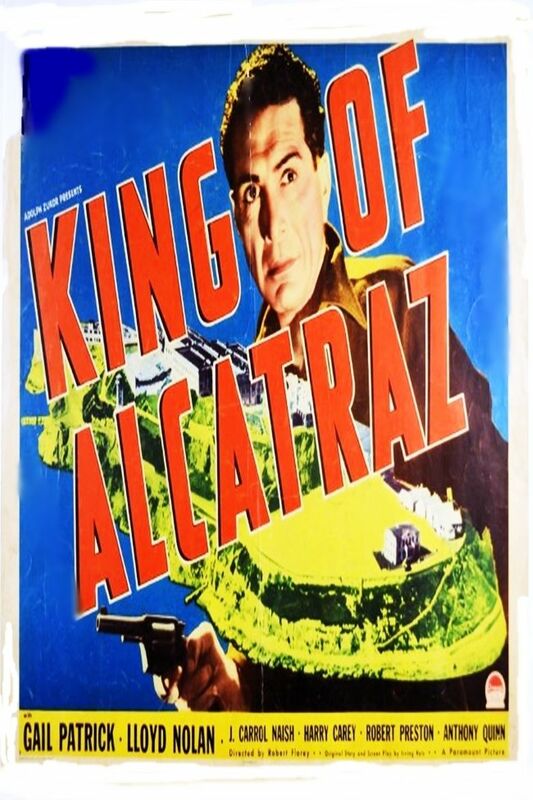 King of Alcatraz is a 1938 American drama film directed by Robert Florey and starring Gail Patrick. Just as gangster Steve Murkil is escaping from Alcatraz prison, rival San Francisco radio operators Ray Grayson and Bob MacArthur find themselves assigned to a freighter run by Captain Glennan, headed out to sea. Among those on board are a new nurse, Dale Borden, and passengers including a young woman and her mother. The younger one is Murkil's moll and the mother is Murkil himself in disguise, making a getaway, with several of his cronies also aboard ship. Ray and Bob both develop a romantic interest in Dale and both end up in confrontations with Murkil. A fight results in Ray being wounded, with Dale receiving radio instructions on how to perform an operation that he immediately needs. Murkil nearly makes his escape until he is shot by Glennan. On shore, Ray and Dale decide to get married, with Bob their best man.